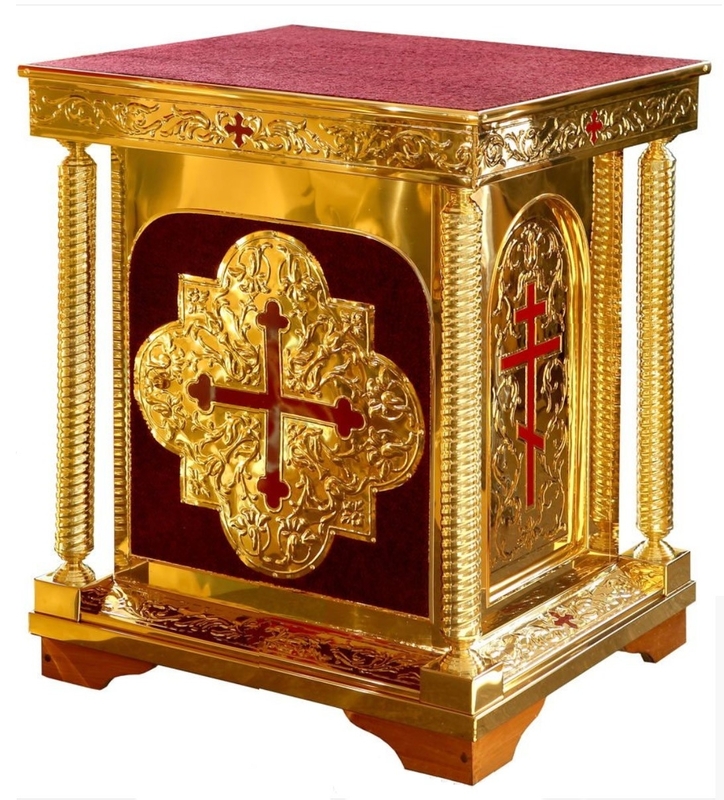 Are you looking for a richly carved church Oblation Table that complements your church architecture and reflects your sincerity in upholding the traditional customs of the Orthodox Christian faith? 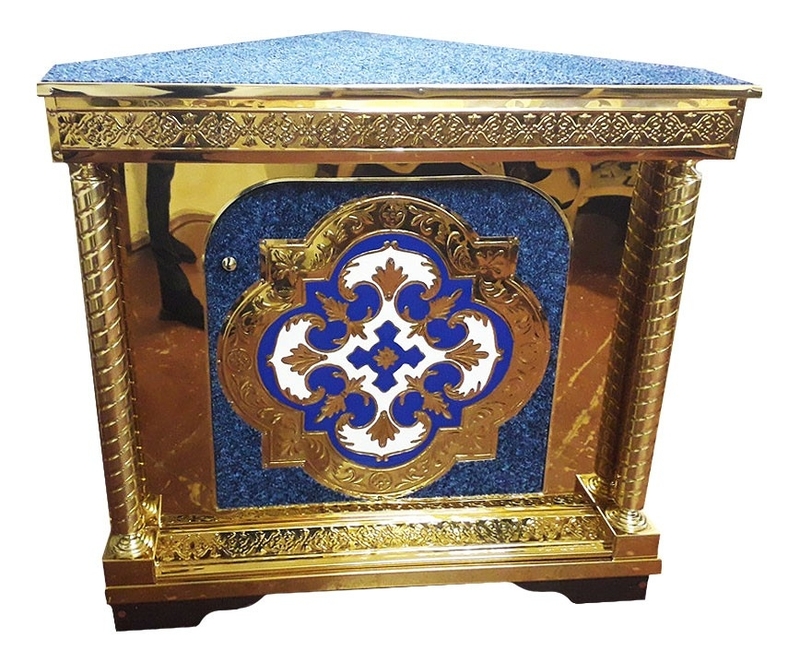 We have just that kind of collection – check our range of high quality, masterfully crafted Oblation Tables in traditional designs and styles. 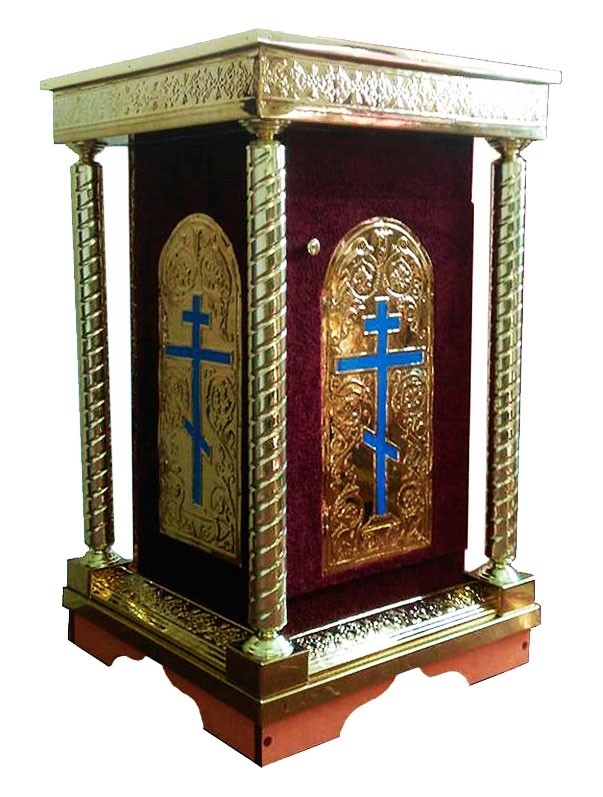 Our Oblation Tables are designed to aid worship and enhance the ambience of Orthodox Christian churches. 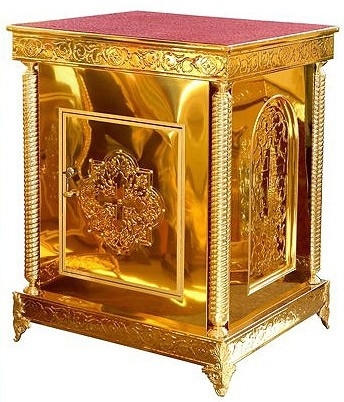 Made from quality woods such as pine wood and lime wood, they feature solid construction and smooth finishes. 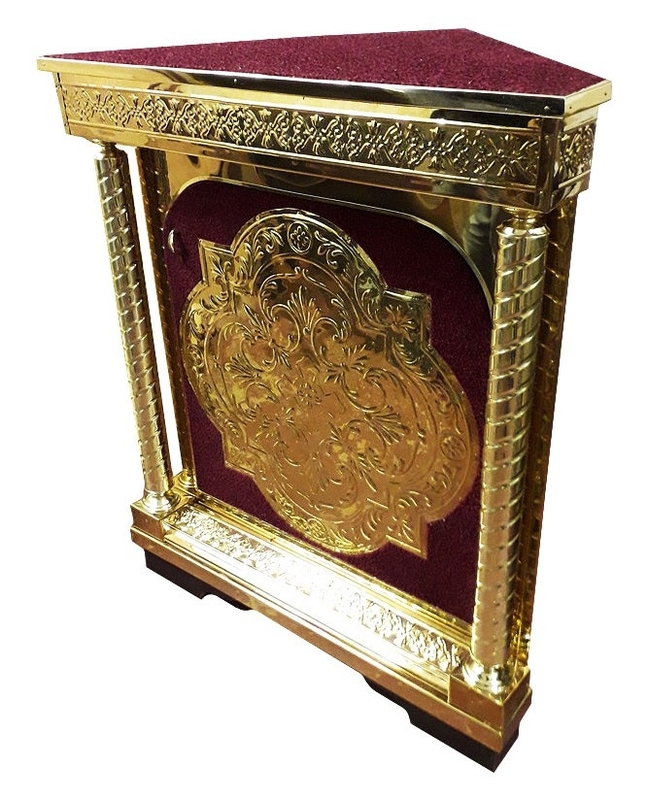 These heavy duty tables that may weigh over a hundred kilograms are a one-time investment and will serve their purpose for many generations. Each product listing is accompanied by an image and vital information such as dimensions and weight to help customers make the right choice. 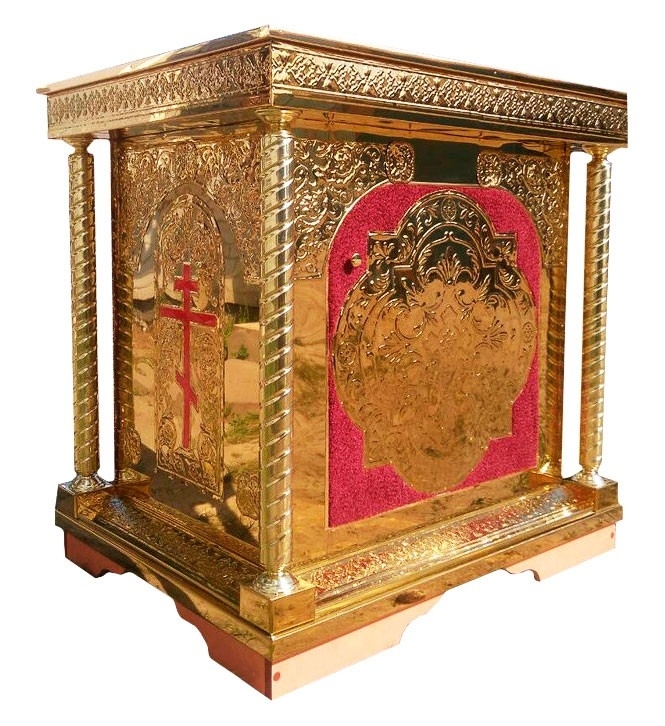 We also undertake custom orders to help customers purchase a piece that fits perfectly in their church altar area. 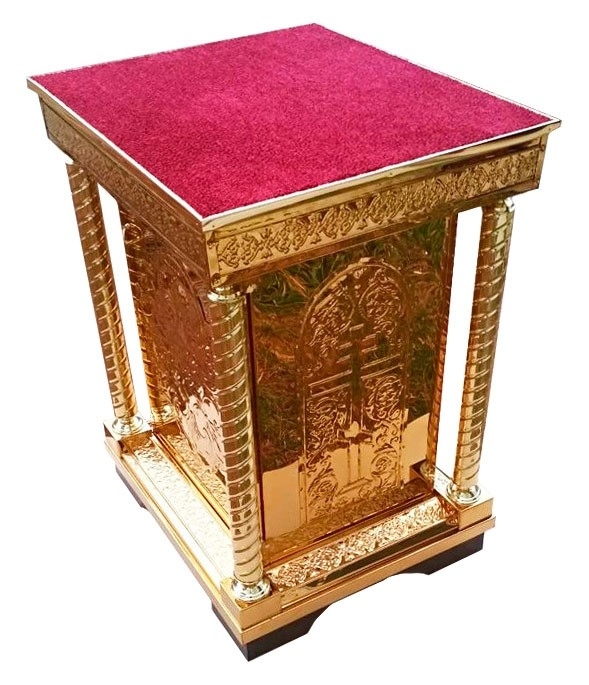 When you are preparing for the Sacrament of the Holy Eurcharist, only the best quality Oblation Table will do to hold important liturgical objects and we offer those in various designs. 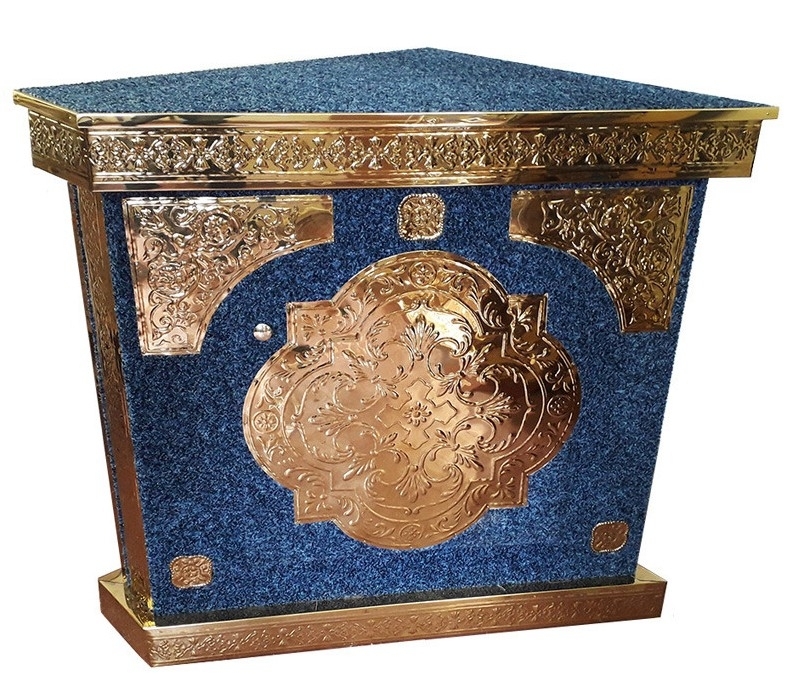 From stark and simple styles to extravagant designs and everything in between, we have a diverse range of Oblation Tables to serve customers with different requirements. 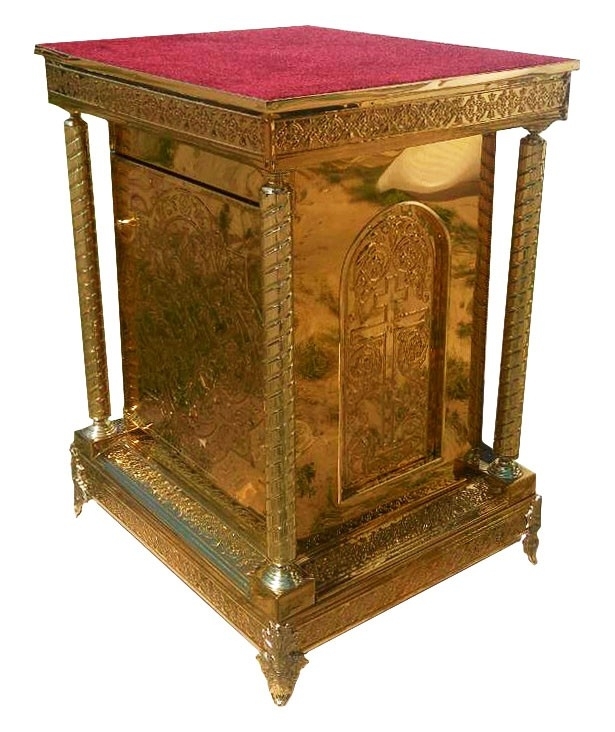 Some of our Holy Tables feature rich carvings and extravagant accents such as brass gilding, enamel and lacquering. 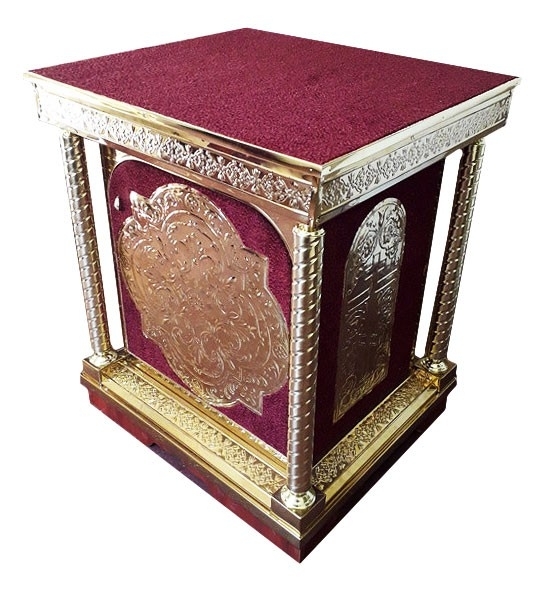 We provide discounts and special offers to keep the prices of our Oblation Tables as low as possible. 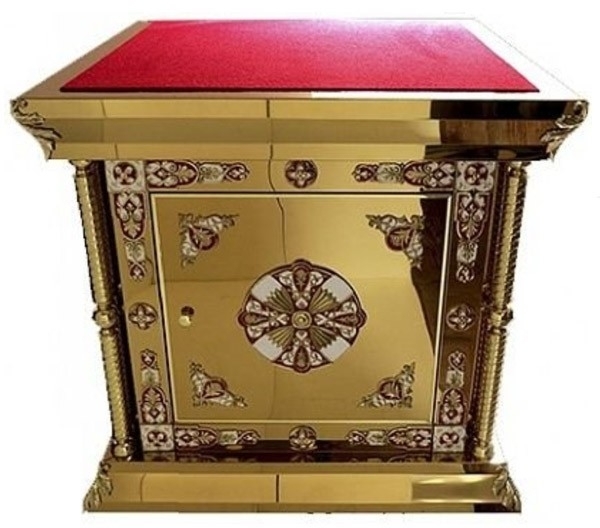 Since each Oblation Table is crafted by hand while paying close attention to detail and workmanship, we take a few weeks to complete an order - rest assured that the final result will be stunning. 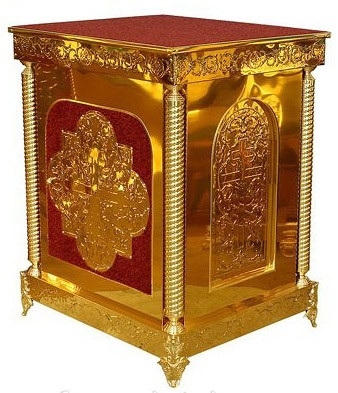 With our convenient online ordering process and international shipping services, customers all over the world can purchase a beautiful, high quality Oblation Table. If you have questions, ask us. If you wish to order, select the piece and add to cart!